Carrying its tradition and honoring Filipino artistry and creativity, Metrobank Foundation Incorporated (MBFI) established on January 8, 1979 by Dr. George S. K. TY, held its annual Awarding Ceremony and Exhibit Opening on September 21, 2017 at Le Pavilion, Metropolitan Park, Pasay City. 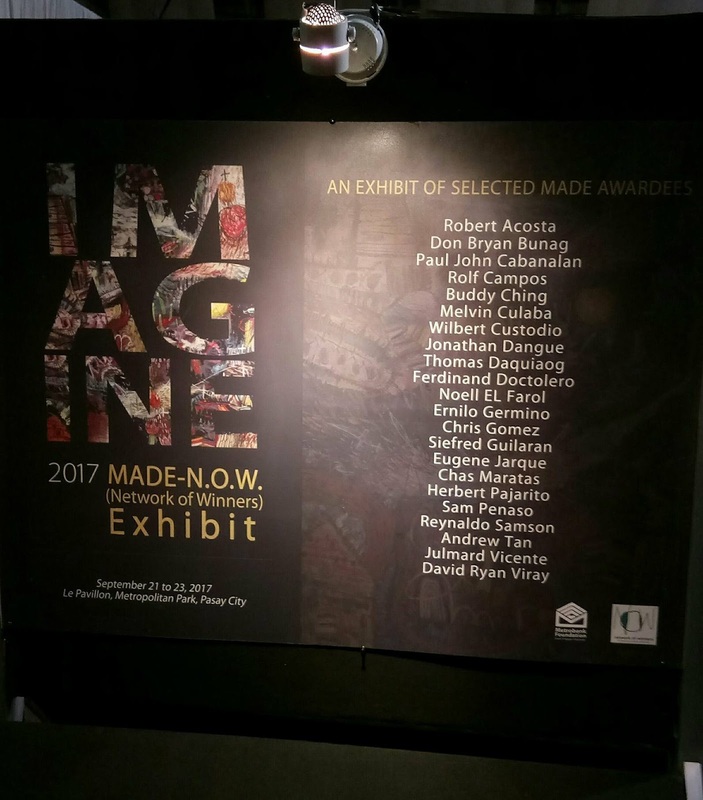 This highly anticipated event recognizes Filipino painters and sculptors through Metrobank Art & Design Excellence (MADE). Australian Ambassador to the Philippines Amanda Gorely and Senator Francis " Chiz " Escudero accompanied by his wife, elite artist and socialite actress Heart Evangelista attended as honorable guests respectively. 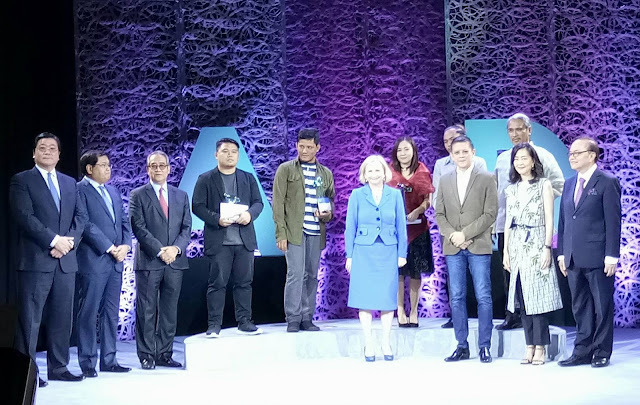 Along with National Artist for Literature F. Sionil Jose, diplomats, government officials, local and foreign artists and dignitaries, gathered in the evening flocked by art and music. "IMAGINE" this year's MADE theme, challenged the artist's human imagination to create and empower their creative mind to showcase their true works of art exuded through painting and sculpting. "Genesis" by Paul John C. Cabanalan, was the Grand Awardee for Oil / Acrylic on Canvas Category. His masterpiece interpreted in four layers: his childhood, his hometown, his people and his beliefs in life in Iloilo. "For Those Who Lived And [Are] Forgotten " by Marvin E. Quizon, was the Grand Awardee for Watermedia on Paper Category. His painting of a lifeless bird with branches and flowers growing, denotes and connotes what comes after death, an interpretation of new beginnings and opportunities. A very similar scenarios to the victims of rampant killings and terrorism. The recipient of Grand Awardee for Sculpture is " Pagtataguyod " by Moreen Joy Austria. Her work symbolizes the character and core of Metro Park, redefining a dynamic community and living a symbiotic relationship, truly a summation and crystallization of Filipino values. Pagtataguyod indeed aims to promote, patronize and foster.